It Ain't Easy Being Me: Nokia Lumia 800! This time I'm sharing my view and user experience on Nokia Lumia 800 in a FAQ (Frequently Asked Question) style. Thanks Bryan for passing me a Nokia Lumia 800 for quick review. What is Nokia Lumia 800? Nokia Lumia 800 is one of Nokia's latest touchscreen smartphones running Windows Phone 7.5 operating system (OS). 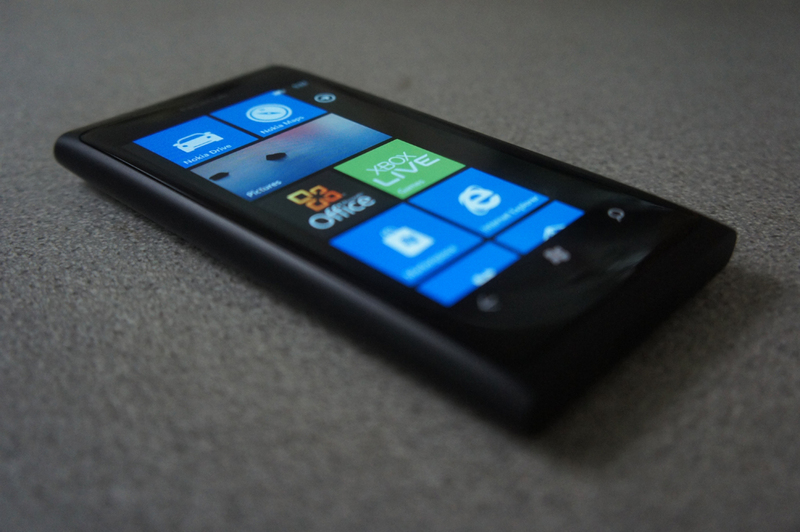 What's so special about Nokia Lumia 800? A few things actually. First is the phone design. The phone body is made from a unibody polycarbonate material, it looks trendy and sleek. The screen uses a curved Gorilla glass, it is strong and durable. Second is the Windows Phone 7.5 OS. The OS is developed by Microsoft and it's new to many people, including myself, but the features it has are enough to give me a very positive first impression. What are the cool features in Nokia Lumia 800? 2. Live Tiles: tiles that I can pin onto the home screen of the phone. It animates from time to time showing notifications from the particular app. 3. Responsive OS: the OS is fast and shows nice transitions when I'm doing sideways swipe. No lag! 4. People Hub: link multiple social networks (Facebook, Twitter, Windows Live, etc) into one source where I can easily check for status updates. 5. Me Hub: all notifications (comments or reply) from social networks will be displayed here. A quick way to respond to these notifications too. 6. Facebook Chat Integration: Facebook Chat is integrated into Messaging feature of the phone, so I get to message my friends whether online (Facebook Chat) or offline (SMS) in one place. 7. Multiple Calendars Sync: events on different accounts (such as Windows Live & Facebook) can be synced into the phone calendar. I get to choose which to show or hide too. 8. Linked Inbox: link multiple mailboxes, like Hotmail, GMail, Yahoo! Mail, even POP3 into one mailbox. I get to read all emails in one place. 9. 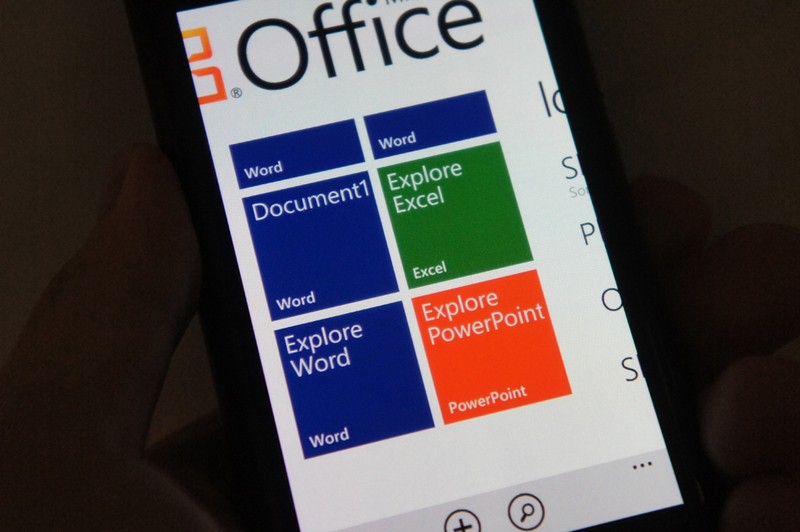 Mobile Office: edit or create Microsoft Office documents on the phone! Works for Microsoft Word, Excel, PowerPoint and OneNote documents. 10. Nokia Apps: Nokia Drive, Nokia Maps, Nokia Transport and Nokia Music are all free! 11. Bing: a powerful search engine integration in the phone. In Bing, I can use (a.) Vision to scan barcode, QR code and book cover; (b.) 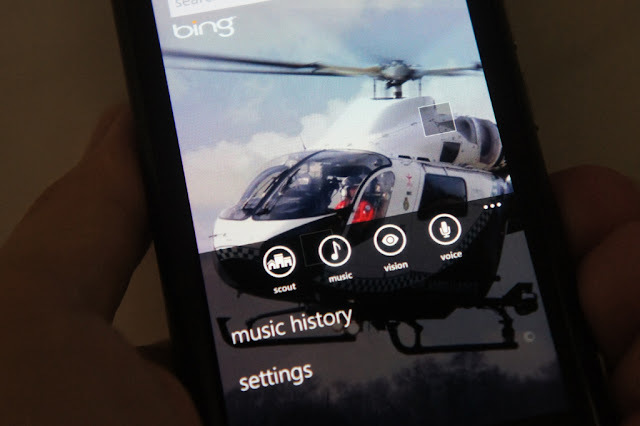 use Music to capture playing music and search it online; (c.) do a voice search using Voice. All these can be done in Bing search feature of the phone. 12. Quick Access To Camera: I just need to press and hold on the camera button to quickly turn on the camera even when the screen if not active. What's missing in Nokia Lumia 800? 1. No front facing camera. 2. Not as many apps in Windows Phone Marketplace as compared to Android and iOS. 3. Can't (not yet) jailbreak or root the phone. 4. Requires software (Zune) to transfer songs, videos and photos to the PC. 5. Can't send/receive files using Bluetooth. What's the rate I give to Nokia Lumia 800? 8/10, which I consider quite good. Marks are given to the beautiful phone design, responsive and features packed OS and useful apps that are pre-installed on the phone. 2 points deducted because of the missing features mentioned above, which are not very significant to me. Worth buying Nokia Lumia 800? I would say yes if you are looking for a nice looking phone running on a fast OS. The built-in features are good enough for most daily usages, especially if you like to always stay connected to your friends and family via Facebook and Twitter. 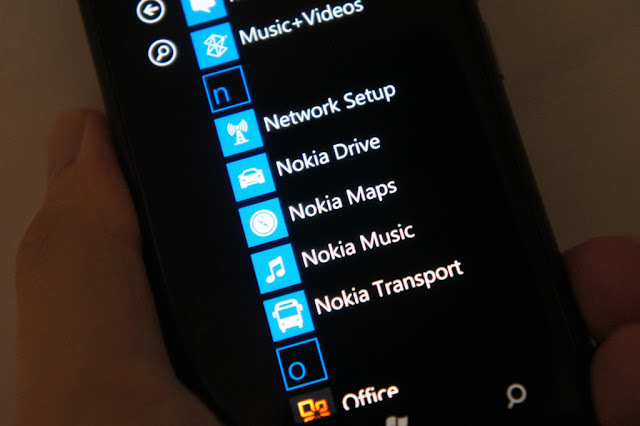 However, you'll need to understand that some popular apps and games in other OSs are available for Windows Phone 7.5 yet, such as Dropbox, Draw Something, Angry Birds Space, etc. How much is Nokia Lumia 800? The official retail price is RM1,650 when it was launched in Malaysia in February 2012. That's all from me about Nokia Lumia 800. Awesome review. Lot's of details, looks like you have used this for some time.